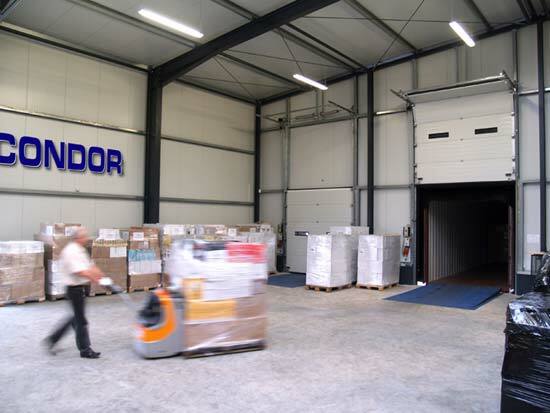 We are there for you even after the production is finished: With CONDOR your order arrives exactly where it should, whether in Germany or abroad. Whether truck, ship or train, we arrange the transport and, as a matter of course, all necessary customs formalities. Larger amounts and complex deliveries with many different products are no problem for CONDOR – due to our years of experience in the supply of trade chains as well as Duty-Free-Shops we always pick and stock reliably to your wishes. Also, rely on our competence when it comes to the export, for example in the event of different customs regulations in the individual markets.